The July 2018 print edition of St Francis Chronicle is available online for our readers countrywide in South Africa, for those in Southern Africa and for those across the globe, who were not able to get a printed copy. 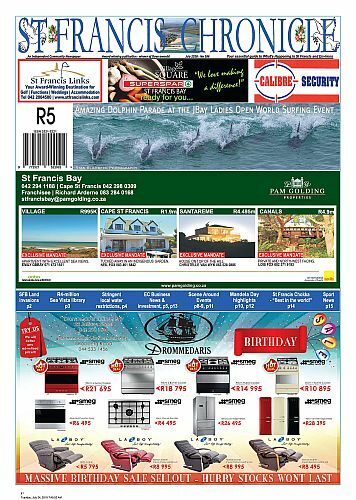 To subscribe to receive the St Francis Chronicle monthly edition straight after print and in the same month it was printed, to your inbox for a nominal, annual, once-off amount, please send an email with your name and email address to: stfrancischronicle@gmail.com (T&Cs apply). Tags : The July 2018 edition of St Francis Chronicle is now out with all the top news from mid July to mid August.